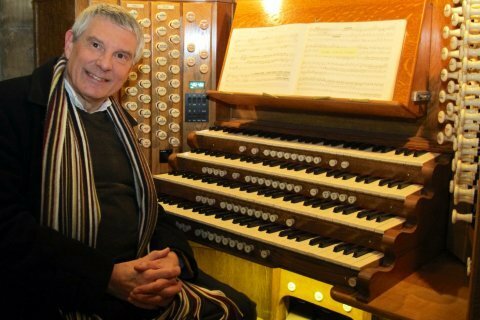 The Michael Overbury was born in 1953 in Surrey and was educated in Farnham and Cambridge (where he was organ scholar at Corpus Christi College). Whilst there he was also a founding member of Schola Gregoriana of Cambridge, with whom he toured extensively abroad. After holding the position of Assistant Organist at New College, Oxford, he moved to St. Alban’s Cathedral to take up the position of Deputy Master of the Music. In 1980, Michael was made Director of Music at Newark Parish Church where Michael made recordings both on the organ and with the famous church choir. His recordings have met with popular and critical acclaim. Competition successes have included the First Prize in the Manchester International Organ Competition and other recordings have included a highly acclaimed recording of the famous Binns organ in Nottingham Town Hall. Michael has been Director of Music at the Priory since 1999.